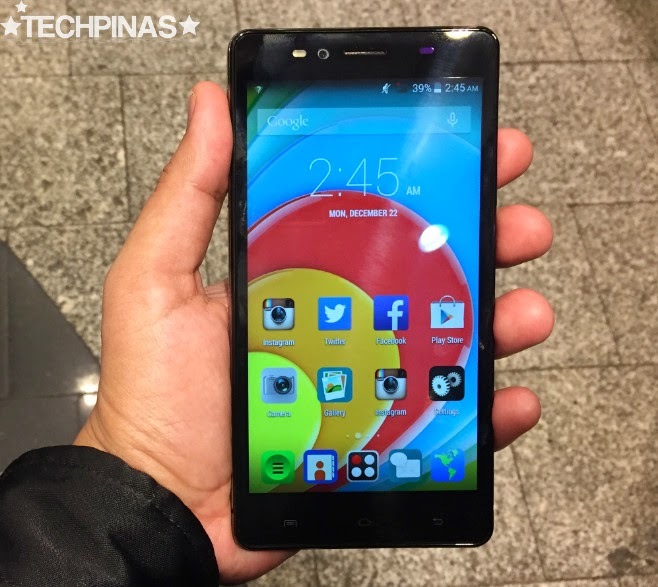 The freshly released O+ 360 Extreme is the most expensive member of the American company's newest line of Android smartphones: The 360 Touch Series, which is characterized and made special by a touch-sensitive back panel for navigating the phone's interface and taking photos, among other functions. Being a top-of-the-line model, the 360 Extreme comes not only with the most attractive design identity of any phone in this series but also with the best set of technical specifications. 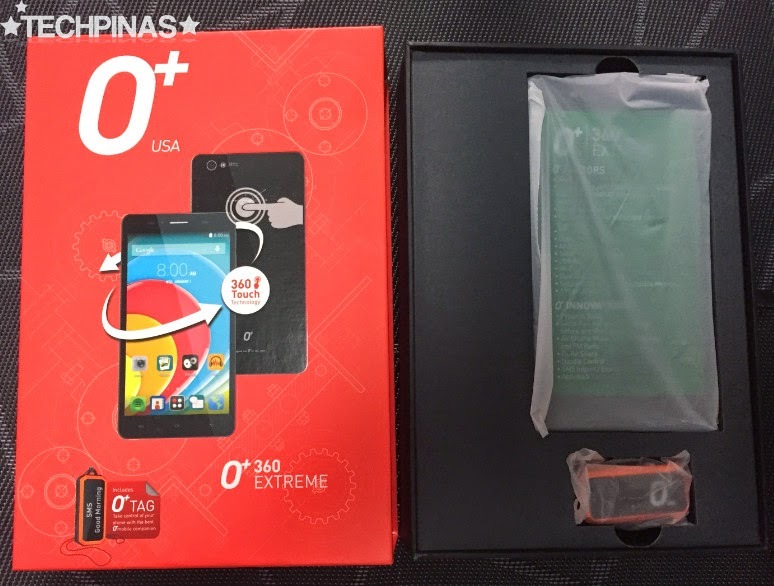 All midrange to high-end 360 Touch smartphones will come with this new packaging design from O+ USA. You have the red outer case with a pull-out internal black container. 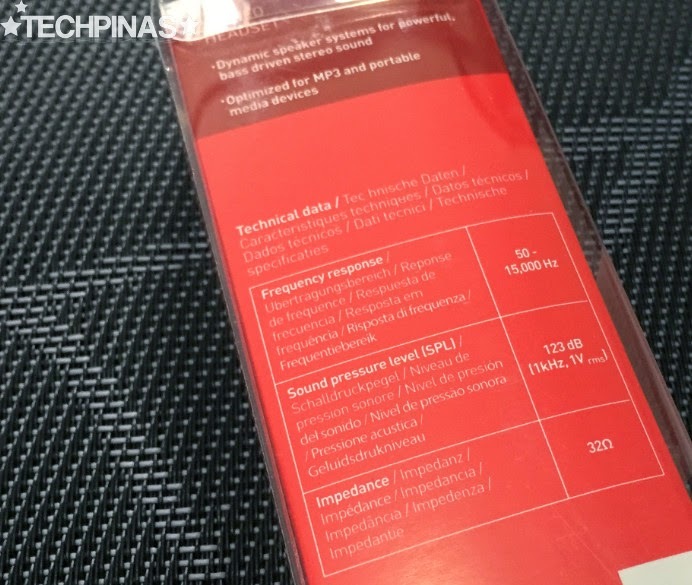 At the back, you'll find a list of the phone's key technical specifications as well as the unique O+ Innovations and Factors that you can enjoy on the device. 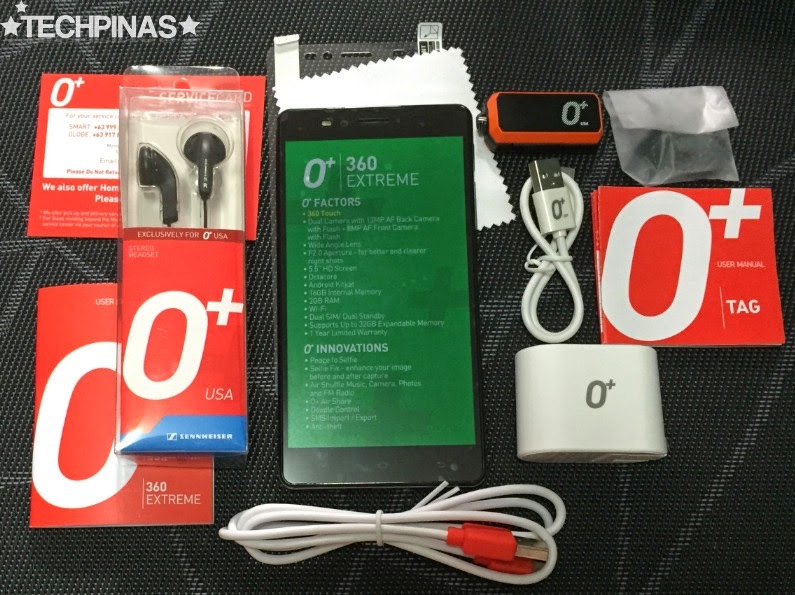 O+ 360 Extreme only costs Php 12,995 and for that amount, you already get this incredible set -- with a free wearable that costs Php 1,995! 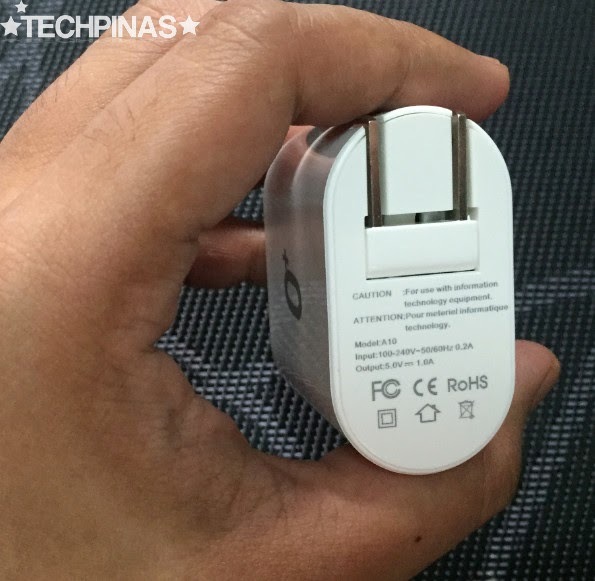 The travel charger has two folding flat prongs -- making them less likely to scratch your other devices when placed inside your bag. The warranty card guarantees after-sales support your handset for one year. Also, the company offers home or office pick-up and delivery service should you require it. 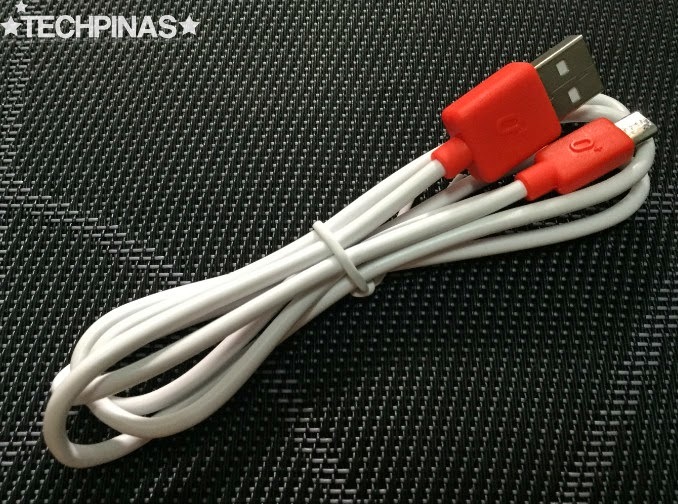 You, of course, need the microUSB to USB cable for charging the device and connecting it your computer. 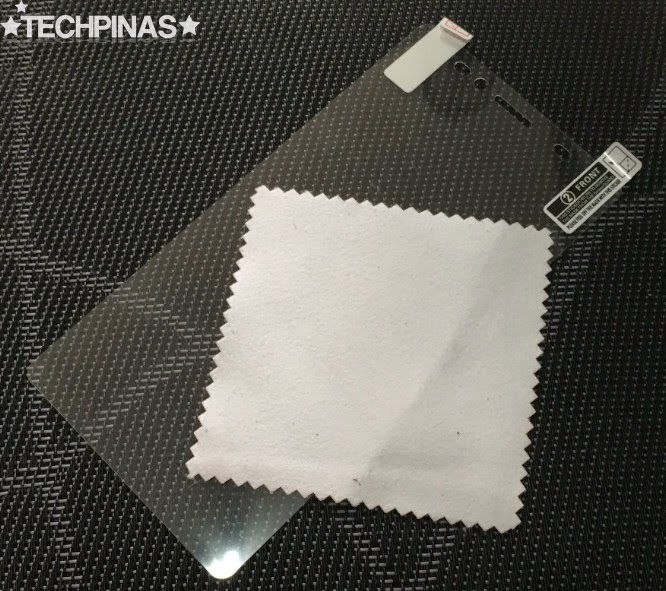 O+ USA generously included a free screen protector and cleaning cloth in the package. 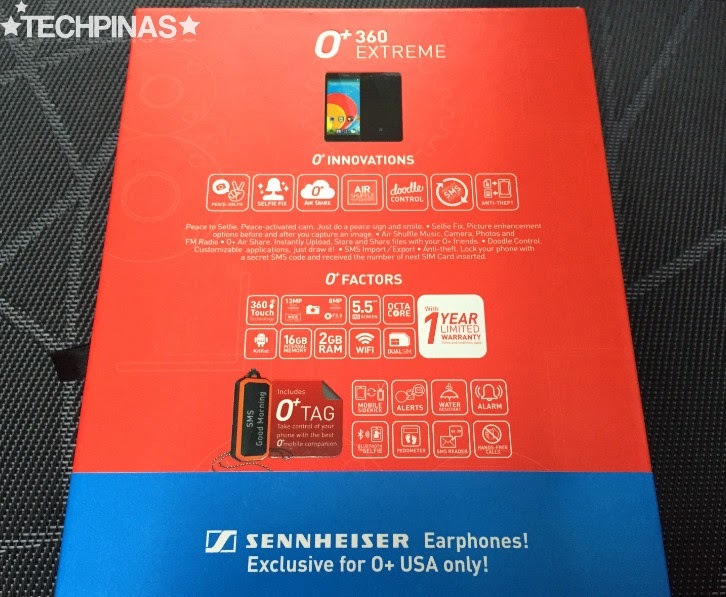 Experience a great music listening experience on the O+ 360 Extreme with these exclusive earphones from the industry-leading German audio company, Sennheiser! 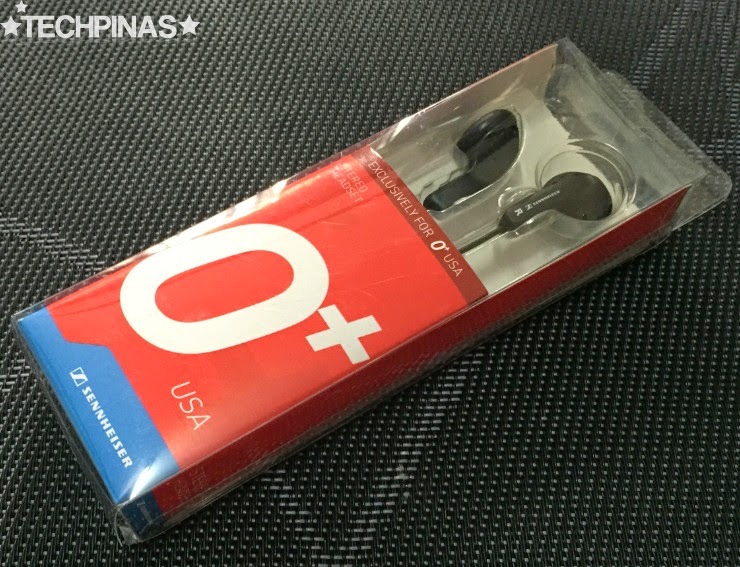 I've had this particular earphone model since last year (as it also came free with O+ Imagine) and I'd say that the sound quality that it delivers rivals that of the Apple Earpods; Very decent to above average. 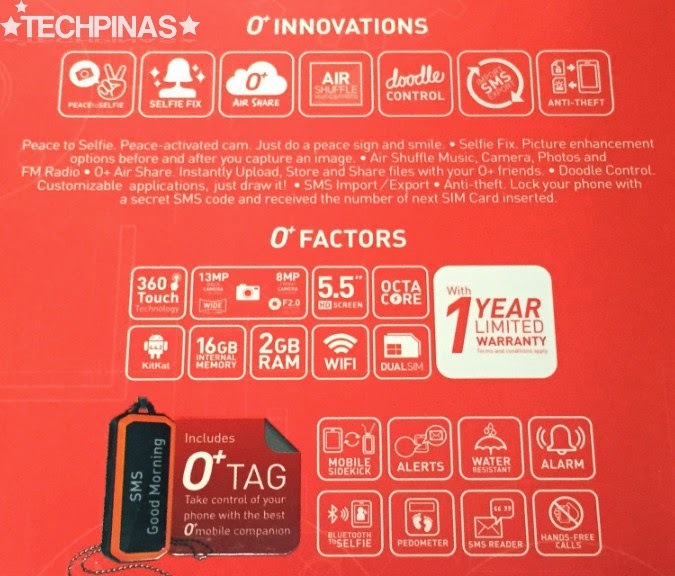 The latest innovative accessory from O+ USA, O+ Tag is a wearable that pairs with any Android smartphone, allowing you to make hands-free calls, read text messages, and get alerts and notifications from Facebook and Twitter among other apps. And what's cool is that it even works as a pedometer and it can also monitor your sleep. 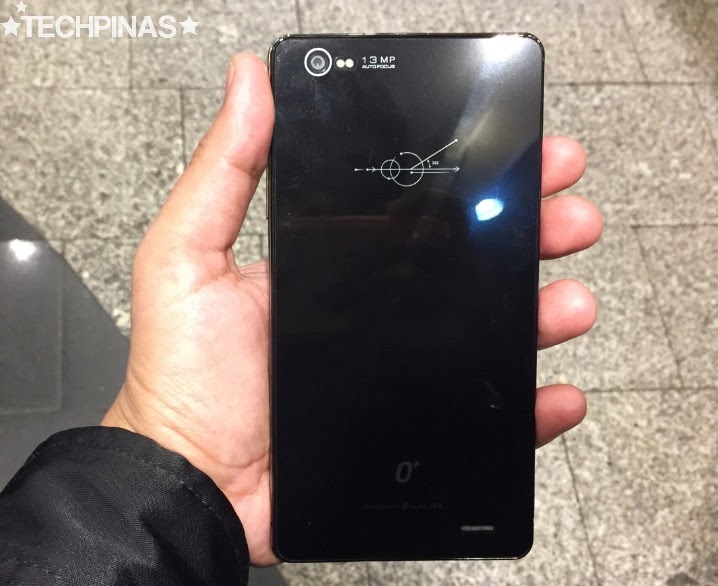 O+ 360 Extreme flaunts a very attractive 'glass sandwich' design language reminiscent of the iPhone 4S and Sony Xperia Z-series flagship releases -- albeit it lacks a real metal side frame. 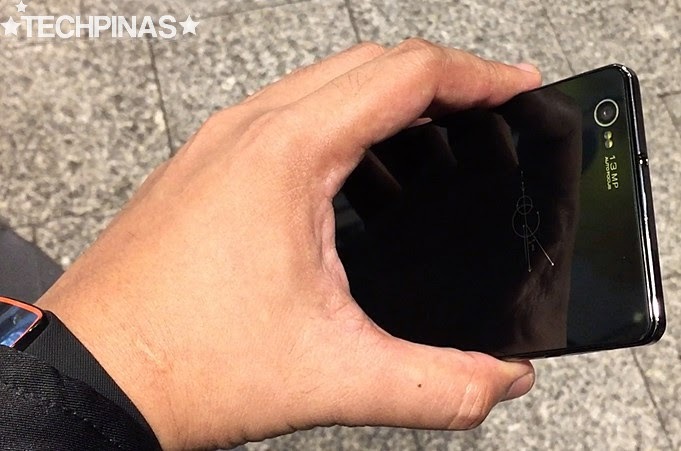 A phablet though and through, O+ 360 Extreme sports a sizable 5.5-inch HD IPS display that looks clear and crisp regardless of the viewing angle. Above the screen, you will find the phone's 8 MegaPixel autofocus camera (which remains to be an extreme rarity on smartphones) with front facing LED flash allowing you to take selfies and groufies even in low to zero lighting conditions. 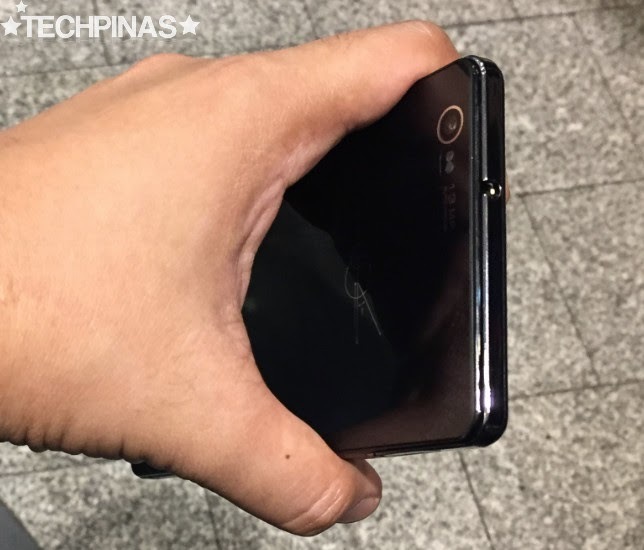 At the back, you'll find the phone's 13 MegaPixel autofocus camera with Dual LED flash and below that - just above the middle section - you'll see the feature that sets O+ 360 Extreme apart from other Octa Core smartphones in the market: A touch-sensitive patch on the back panel that you can use to unlock the phone, launch applications, take photos, and swipe across home screens and pages on supported applications. 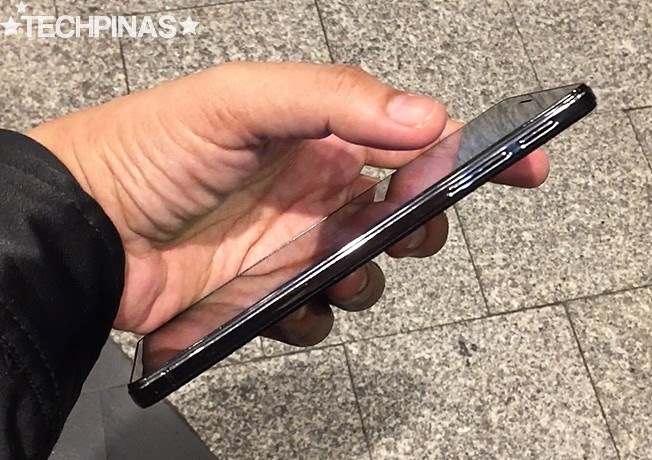 This is particularly useful when you're using the handset with just one hand. 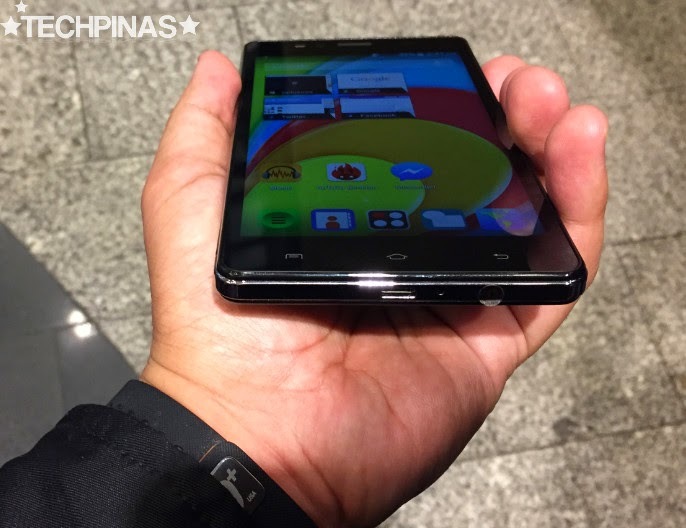 The device has Dual SIM Dual Standby capability as it has two microSIM card slots located on its left panel. 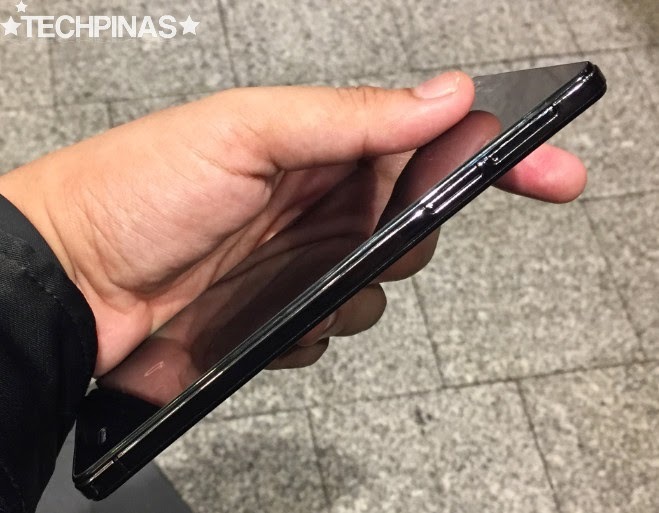 Although it's just chrome-plated plastic - similar to what's on Samsung Galaxy Note 2 and Note 3, this metallic accent running down the sides of the phablet really gives it an air of elegance and luxury. O+ 360 Extreme, I'd say, looks and feels really expensive. O+ 360 Extreme supports USB On-The-Go that lets you plug-in a flash drive to the phone via a cable (not included in the package) to quickly and conveniently transfer files. 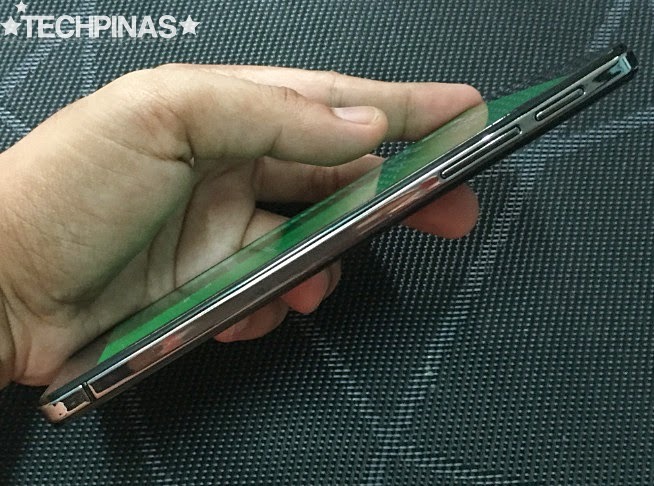 The power button and volume rocker are located on the right side of the handset. I kind of wish they're placed a bit lower so I won't have to always adjust my grip just to reach them with my thumb. 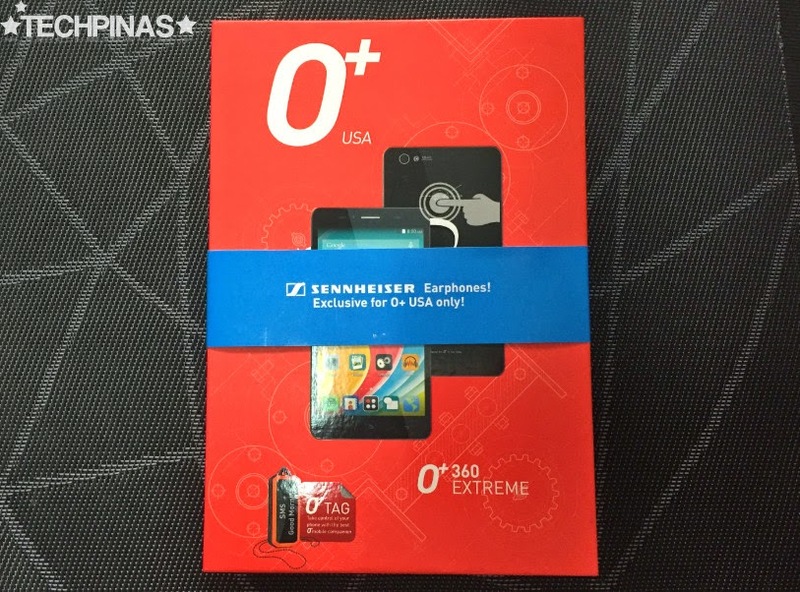 But I guess O+ USA put them there to avoid accidental clicks - especially on the power button - while using the phone. 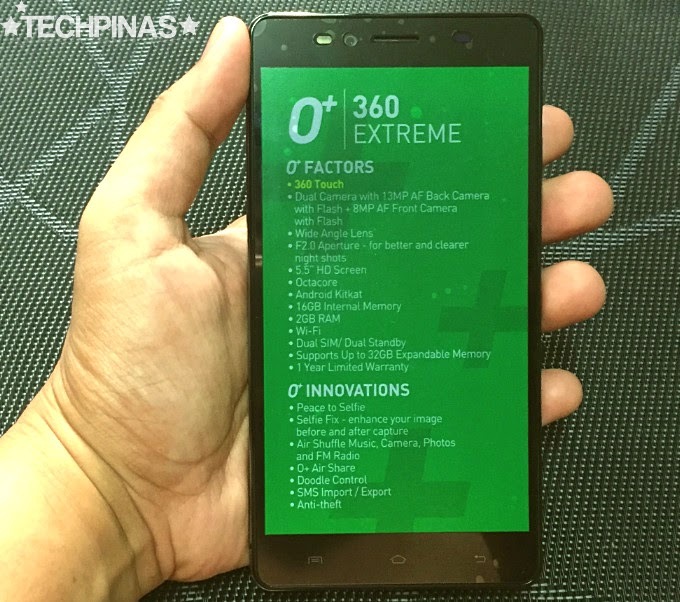 A couple of days ago, I said on Facebook and Twitter that O+ 360 Extreme is the most handsome smartphone O+ USA has released to date. And I still stand by that statement. Looks-wise, I think it's definitely right up there with O+ Imagine (which I'm still in love with to this day because of its metal frame and SuperAMOLED display) but, for me, O+ 360 Extreme is a tad better because it's bigger (and I personally prefer bigger phones) and its glossy rim feels better to the touch. 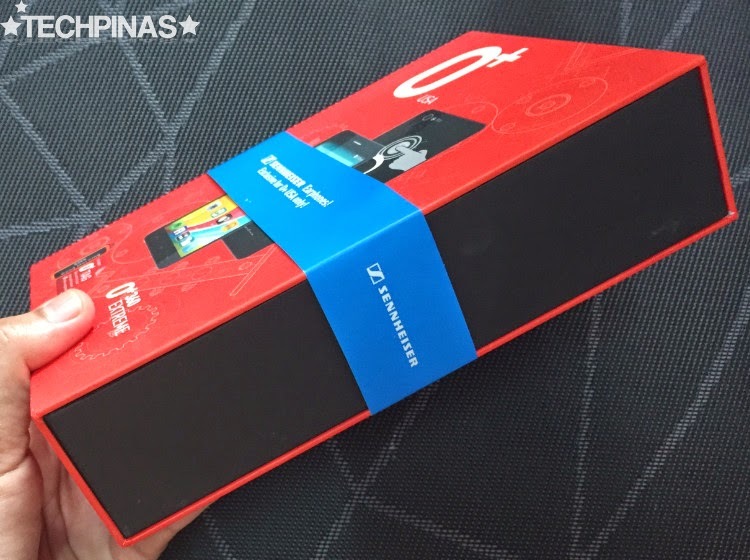 O+ 360 Extreme looks great, comes with cool freebies, and has good cameras but those aren't the only things that make it a stellar flagship release. 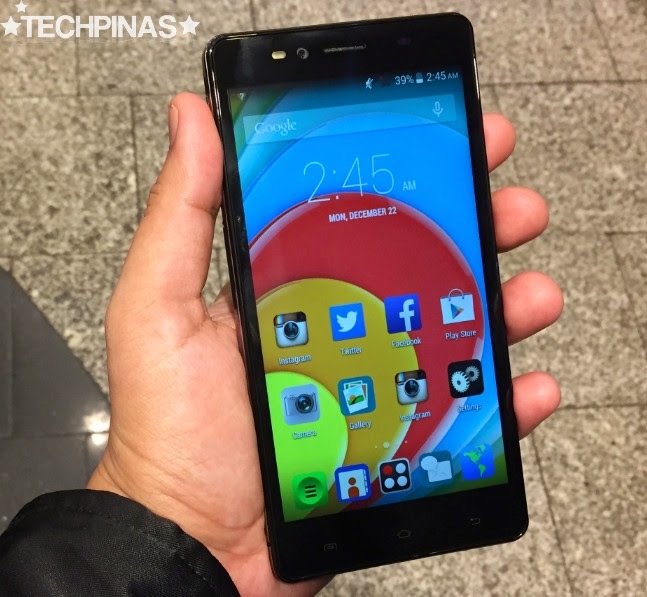 Its innards are also top-notch for a device in its price category. 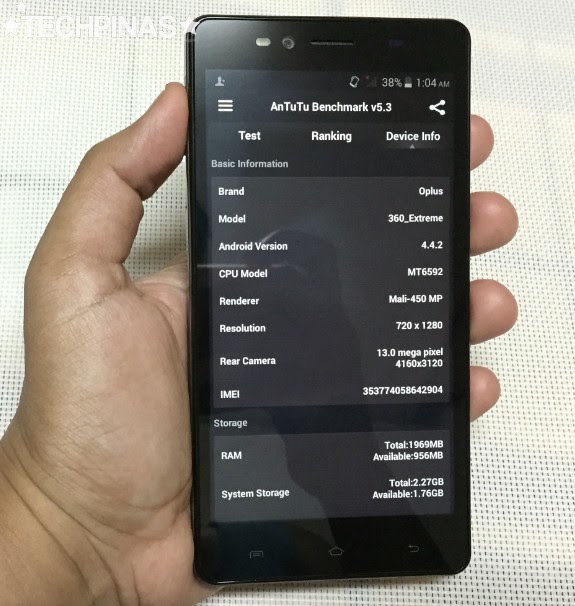 The phablet runs vanilla Android 4.4.2 KitKat incorporating O+ Innovations like Air Shuffle, Air Share, O+ 360 Touch, Selfie Fix, among many others with its 1.7 GHz Octa Core ARM Cortex A7 and Mali 450-MP4 based MediaTek MT6592 chipset, similar to that of the best-selling O+ Air. 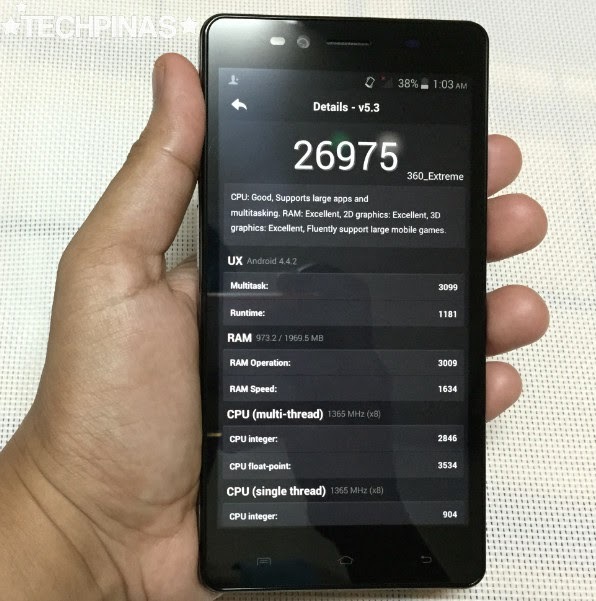 Along with this SoC, the device has 2 GB of RAM for more efficient multitasking and 8 GB of storage that users can easily beef up using O+ 360 Extreme's microSD card slot. With an Antutu Benchmark Score of 26,975, O+ 360 Extreme is definitely capable of smoothly running even the most specs-intensive games in the Play Store, including Injustice: Gods Among Us. 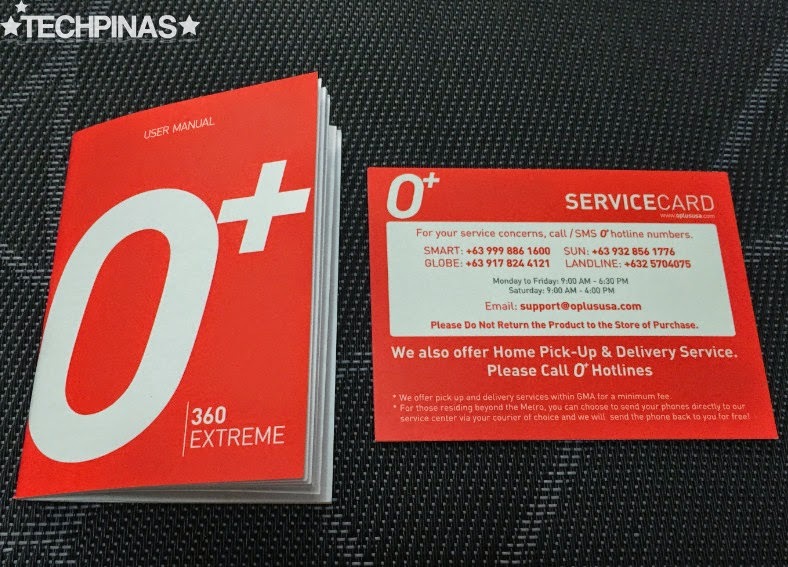 TP Friends, O+ 360 Extreme is now available at all O+ Concept Stores, Kiosks, and partner retailers across the country. 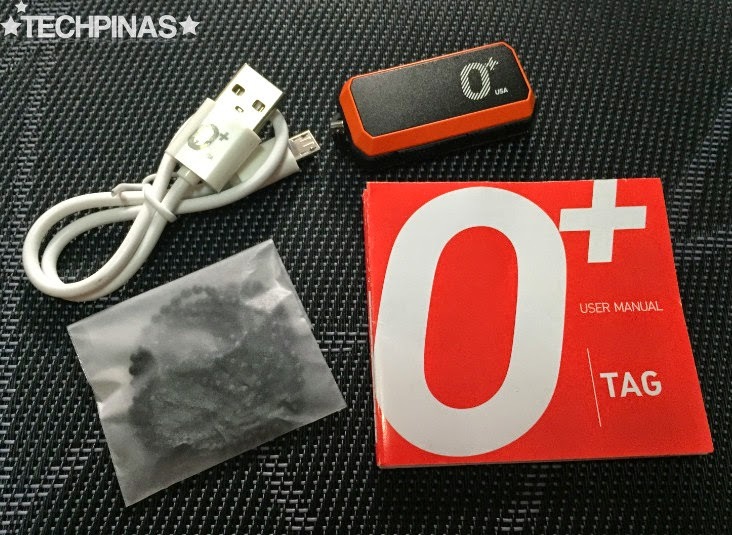 All O+ USA stores should have a working unit for you to try it before making a purchase so I'm inviting all of you to give the device a test run. I'm sure that - like me - you'll instantly fall in love with it.